Please block me! LOL. Just kidding guys! 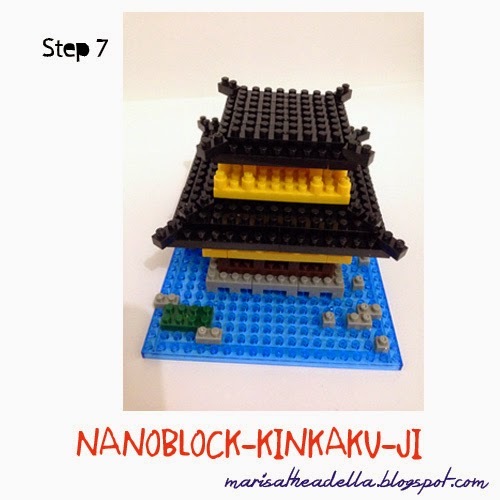 I bet most of you are familiar with building blocks, such as Lego and Mega Bloks. 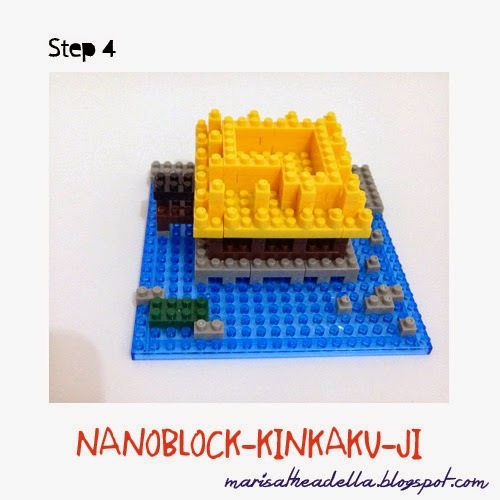 In October 2008, Kawada introduced a new form of building blocks in Japan named Nanoblock. 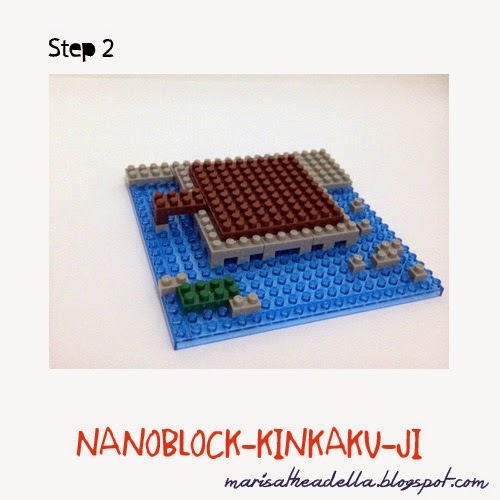 The size of this block is only 1/8 the size of the standard building blocks, yap, that is where it got its name. 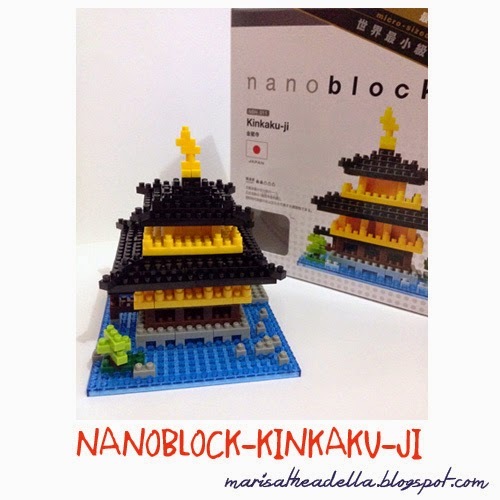 Basically, it is Lego but in way smaller size. 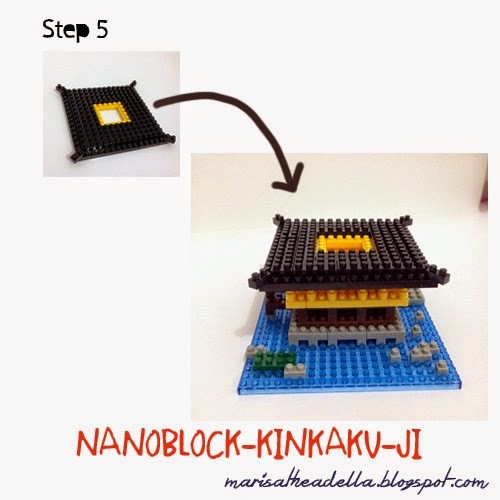 This is the packaging of Nanoblock: Kinkaku-ji, very simple and light. It costs 239,900 IDR for this edition. 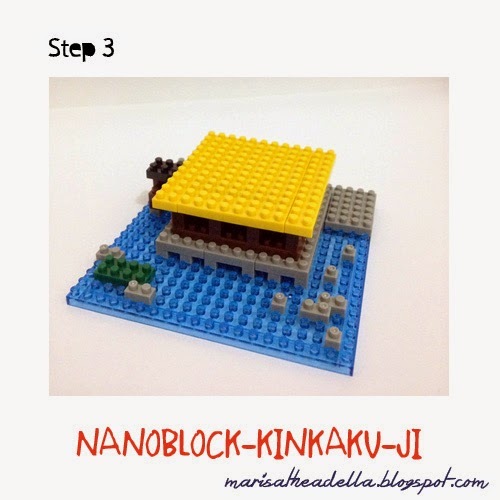 The price of Nanoblock varies for every edition- you can purchase the mini edition of animals or birds at 129,900 IDR. 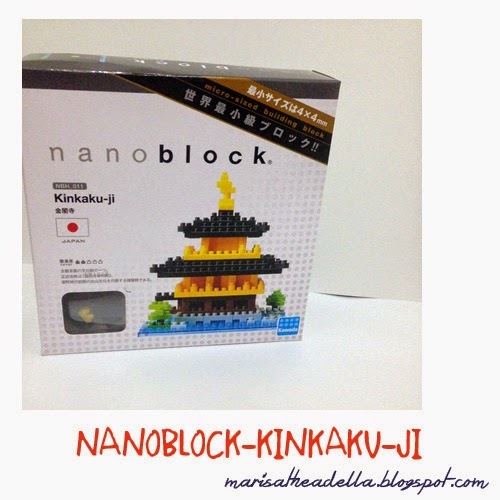 I usually buy Nanoblock at Kinokuniya Book Store, Books & Beyond and The Goods Dept. 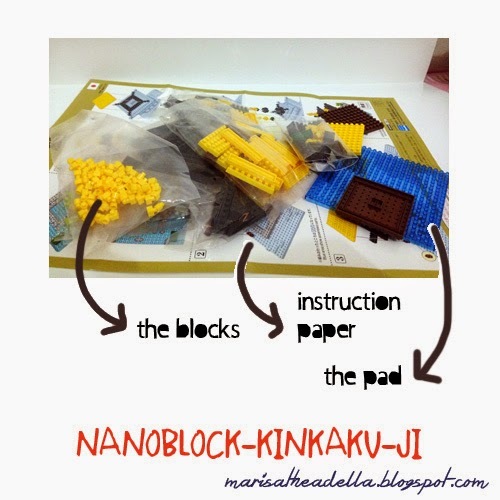 Just like Lego or Mega Bloks, Nanoblock package comes with instruction paper to guide you during the building process. You may or may not get the pad included, but you can purchase one separately. 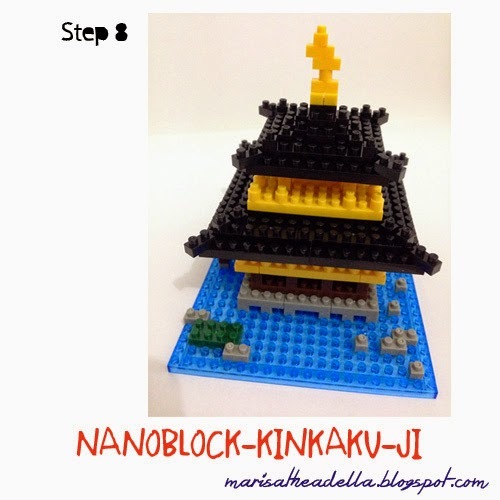 Below are the steps to build Nanoblock: Kinkaku-Ji. Enjoy! You can do each step separately and combine it afterwards. No problem at all! Yes, I am done! It took me one hour or less to do this, included the time I use to take the pictures. 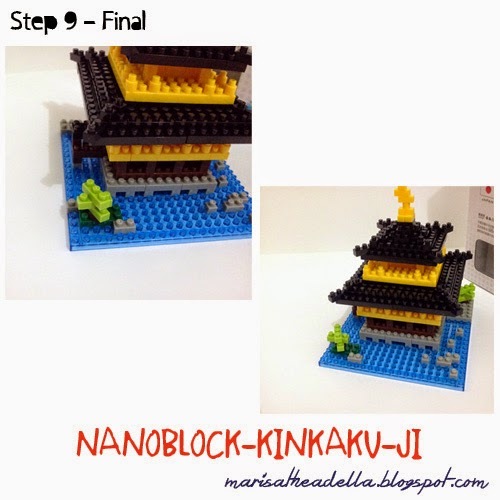 If you like building blocks and details, then you will definitely love this micro block. 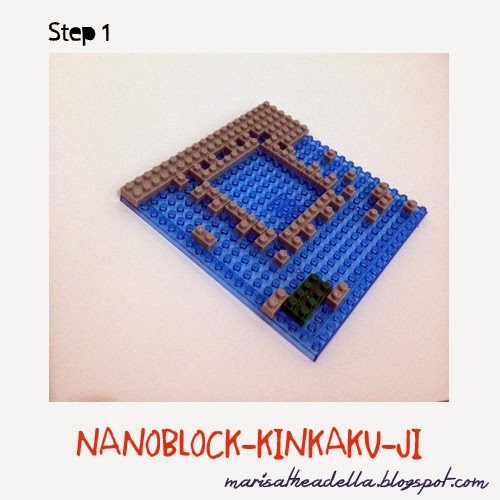 There are some other micro block brands that you can get, such as Loz- most of them are cheaper than Nanoblock.